LUNA+EISENLA media is a strategic media and communications firm aimed at tackling the leading policy and political issues of the day. With thirty years of combined experience, Brad Luna and Kristofer Eisenla are seasoned professionals with extensive careers in communications and media relations. LUNA+EISENLA media leverages its diverse set of capabilities and experiences to achieve impactful results for clients. We specialize in raising client and policy profiles while using their enhanced position to influence the national debate through aggressive media relations. Their 360-degree approach to communications is a personalized and individualized experience from start to finish. ExecCareers DC is an alternative to traditional search firms, social media and job boards. We believe there is a better way. For executives and managers ExecCareers DC creates a more transparent marketplace so you have access to many more open positions in the DC Metro/Baltimore area. For organizations, ExecCareers DC makes it possible to hire the very best talent by making candidates instantly aware of your specific hiring needs and do it for up to 60% less than traditional search firms. 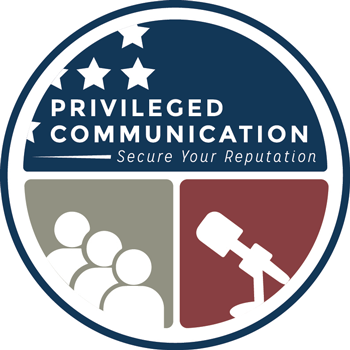 Privileged Communication is a Washington, DC based communications firm that works with a variety of non-profit organizations, businesses, political candidates, and elected officials on crisis communication and messaging. Drawing on 15 years of experience in crisis management and strategy, Privileged Communication helps clients preempt, prepare for, and navigate crisis situations that may threaten their reputations, or interfere with their abilities to conduct key responsibilities on a daily basis. Their working definition of “crisis” is a broad one, including natural disasters, client complaints, allegations of unprofessional or illegal conduct, problems with staff or board members, misuse of funds, and personal problems that can penetrate the professional arena. Privileged Communication specializes in developing internal and external messages and outreach strategies that preserve relationships and reputations, while charting a course for future growth and success. zcomm is a national marcomm and media services agency headquartered in Washington, DC. With 25+ years in business, zcomm handles work for associations, corporations, government agencies, etc. zcomm produces compelling audio and video content and delivers it to relevant broadcast shows and online sites. With a strategic mix earned and placed tactics, zcomm saturates target audiences with impactful content and exceeds client goals. zcomm is helmed by former ABC network Correspondent Risë Birnbaum. Clients include Unilever, P&G, The Alzheimer’s Association, The American Academy of Orthotists and Prosthetists, J&J, Kraft, Wells Fargo, Booz Allen, GSK, Burger King Corporation Worldwide, Samsung, Motorola, Total Wireless, Weber Shandwick, Golin Harris, Manning Selvage & Lee, DoD, U.S. Army, HUD, NCI and USAID. zcomm clearly understands that flexibility, creativity and metrics matter. Azer creative is an award-winning team of dedicated and experienced creative professionals. With more than 50 years of combined experience, we have worked with clients ranging from newspapers to associations and non-profits to high-profile law firms to online retailers. From websites and mobile apps to print publications, we design what you read. We are also experienced in designing and executing media plans and offer full-service marketing and design options for our clients.